Dr. Matthews is a licensed adolescent and adult psychiatrist at Georgia Behavioral Health Professionals in the Stockbridge office. He hails from St. Petersburg FL, and raised in Warner Robins Georgia. Dr. Matthews specializes in the treatment of variety of disorders including, ADHD, Bipolar, Depression, Anxiety, OCD and many more. He treats ages eighteen and up and helps coordinate ways on meeting the patient's specific needs. Dr. Matthews provides comprehensive psychiatry care including psychiatric evaluations, medication management, general psychiatry etc. Dr. Matthews earned his Bachelor's degree in Political Science from Tulane University from 1983-1993 where he maintained a full tuition Dean's academic scholarship. In 2008, he was accepted into Howard University College of Medicine where he exceled in the basic science core courses in anatomy and obtained his medical degree. In 2013, Dr. Matthews was accepted into the Howard University Hospital (HUH) psychiatry residency program. Dr. Matthews was involved in residency rotations including internal medicine, psychiatry-inpatient/outpatient/consults, ER, neurology, VA psychiatry, geriatrics, ECT/TMS, reasearch and Child and Adolescent Psychiatry. Dr. Matthews was active in coordinating the restoration of a 5,000 sq. ft. antebellum Italianate home that received the Restoration Award for Macon the year it was built. 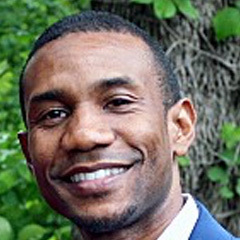 In 2016, Dr. Matthews had the pleasure of being selected and serving as Chief Resident for the HUH psychiatry residency program where he handled administrative disputes, issues, scheduling and didactics. Dr. Matthews holds great recognition for his participation in the African American Congress at Tulane.